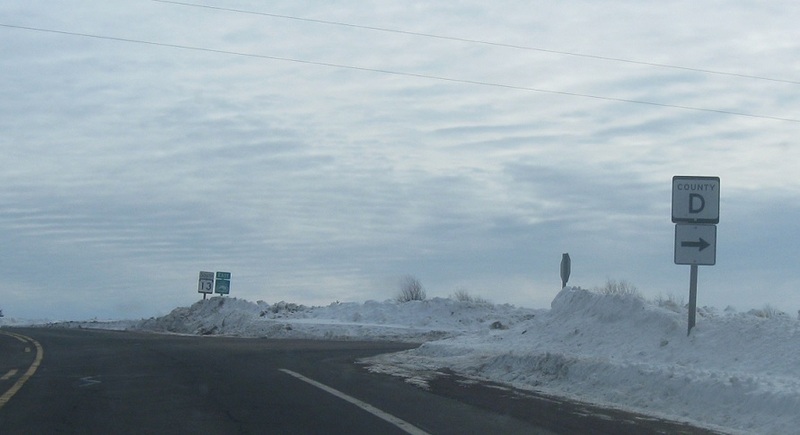 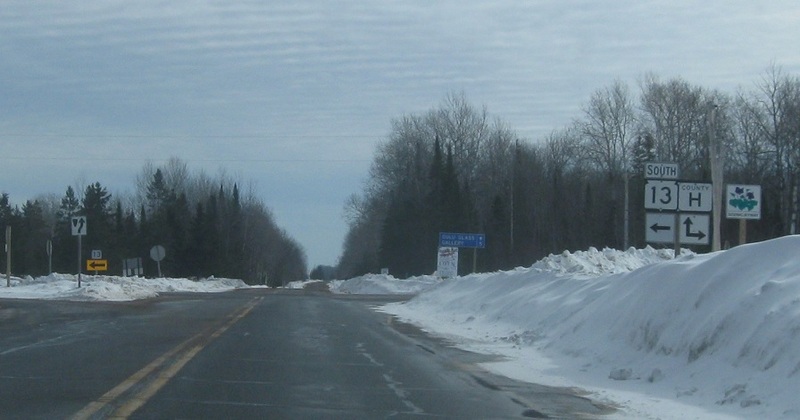 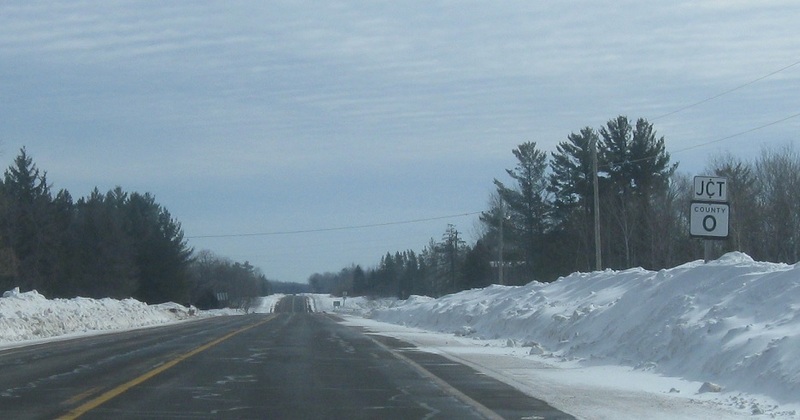 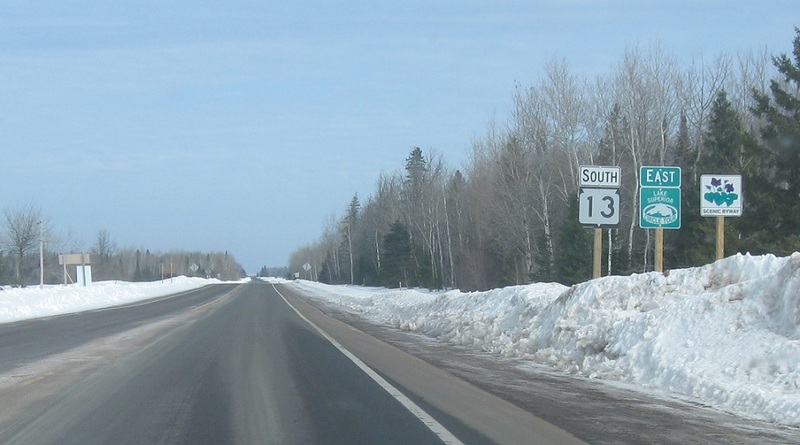 Reassurance shield as Highway 13 begins. 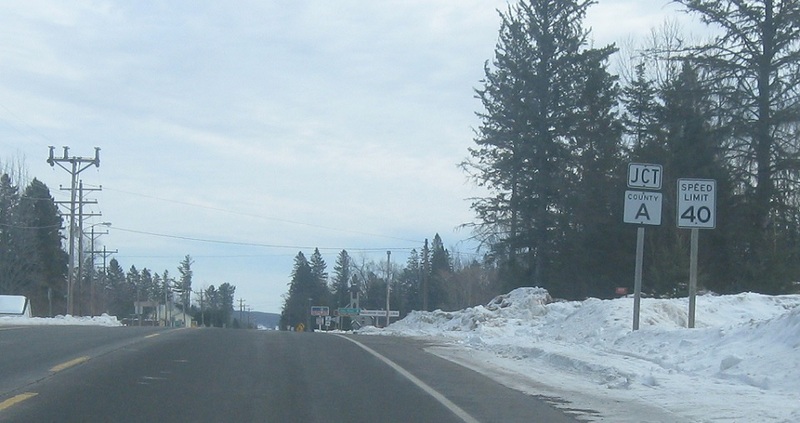 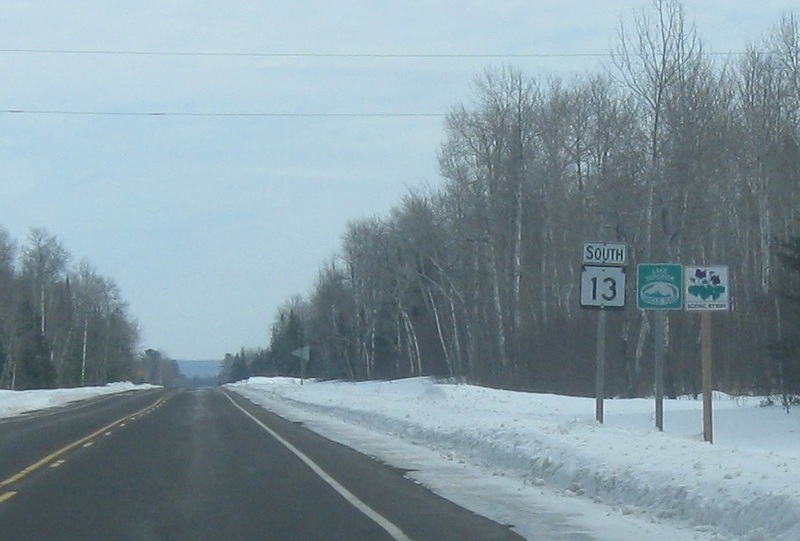 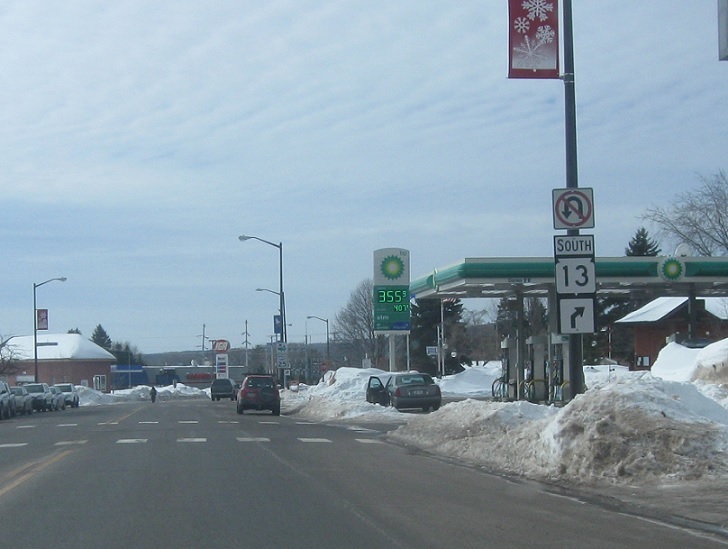 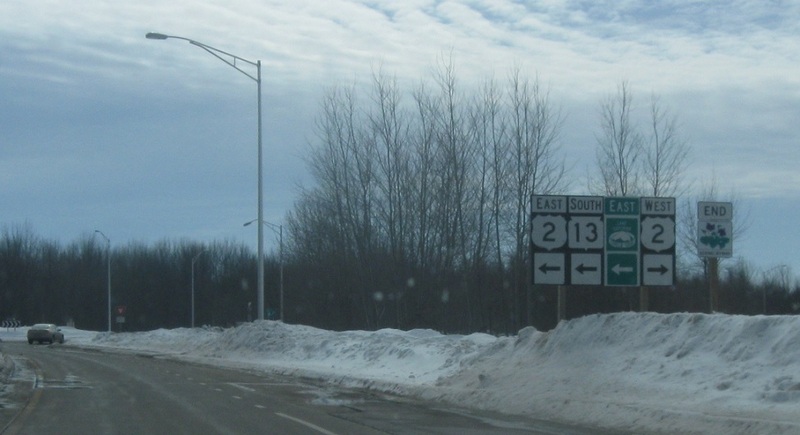 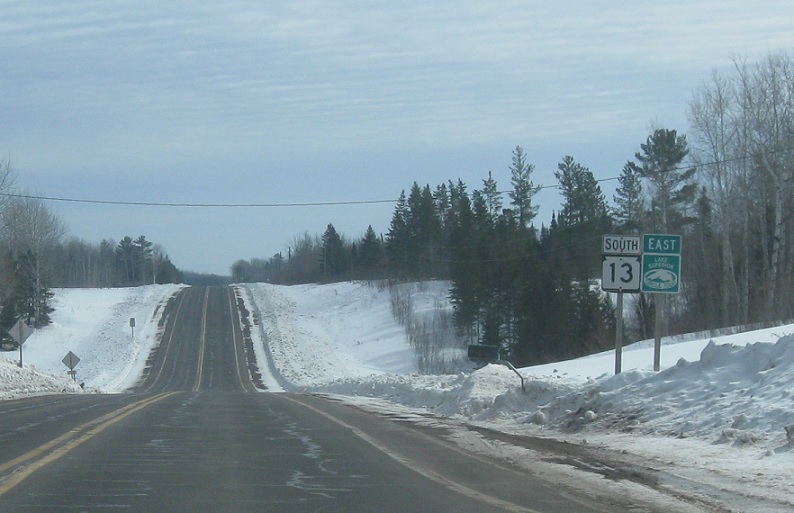 Even though this segment of 13 heads north and east, it’s signed as WIS 13 south because in 74 miles, after Bayfield, the highway will finally head south all the way down to the Dells. 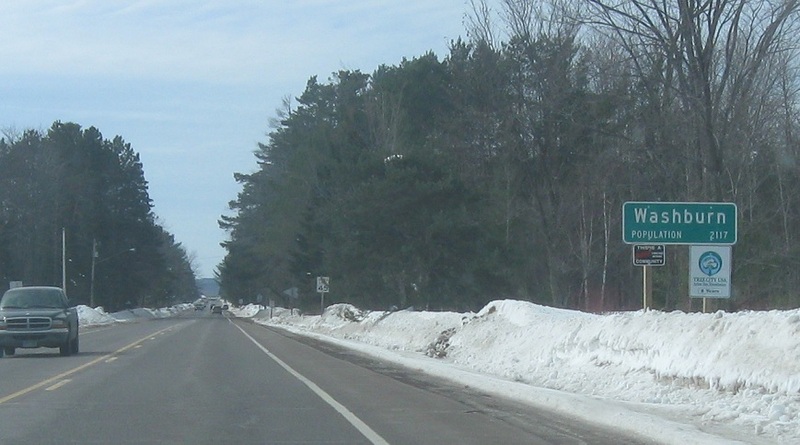 I appreciate Wisconsin’s prioritization of accuracy over logic here. 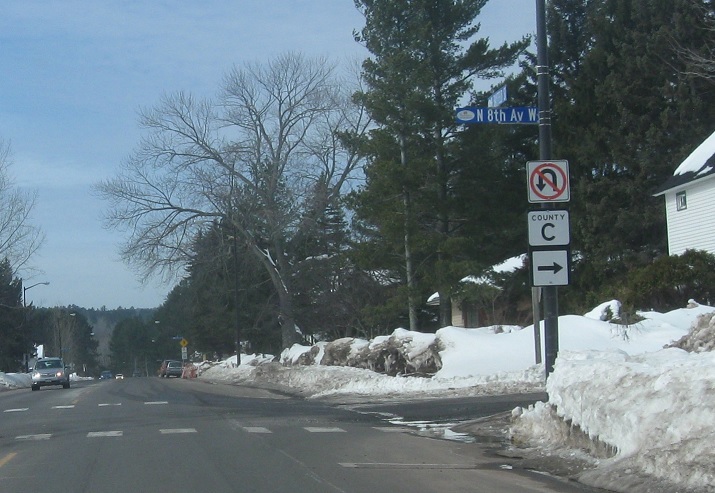 Turn right for CR U.
Reassurance shield after CR U. 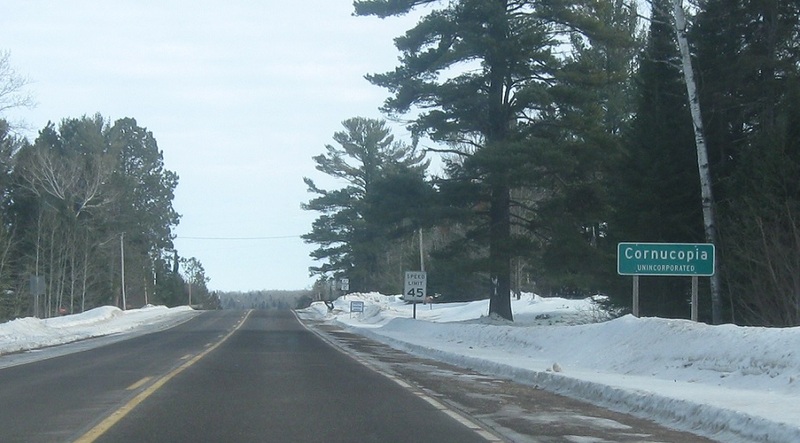 A few miles later, we’ll approach CR D.
A mile later, we’ll approach CR P.
Turn right for CR P.
Reassurance shield after CR P.
A few miles later, we’ll approach CR F.
Turn right for CR F.
Reassurance shield after County F.
A few miles later, we’ll approach County O. 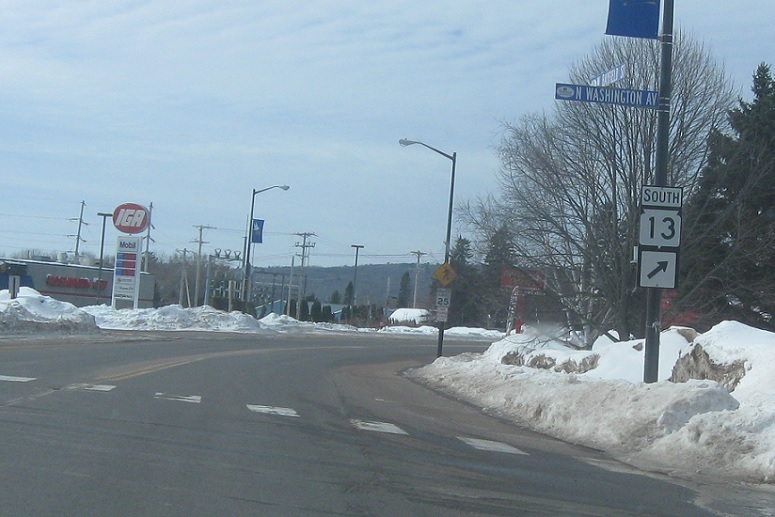 Turn right for CR O. 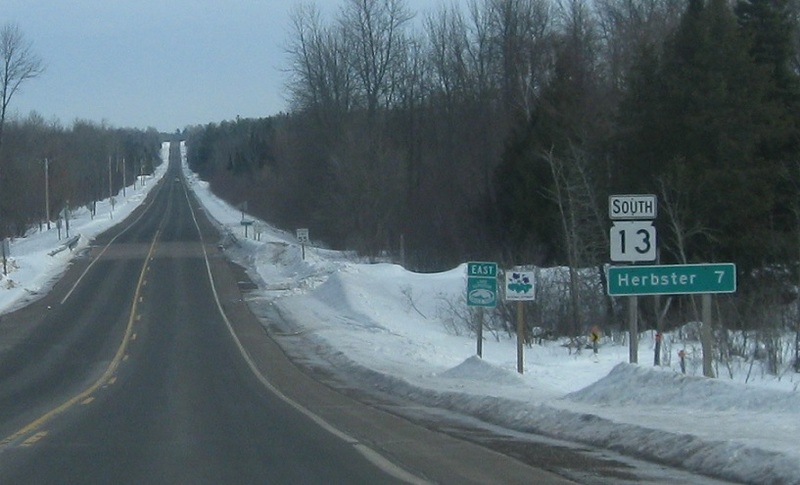 Shortly thereafter, we’ll approach County H.
This time, WIS 13 will turn left to continue north. 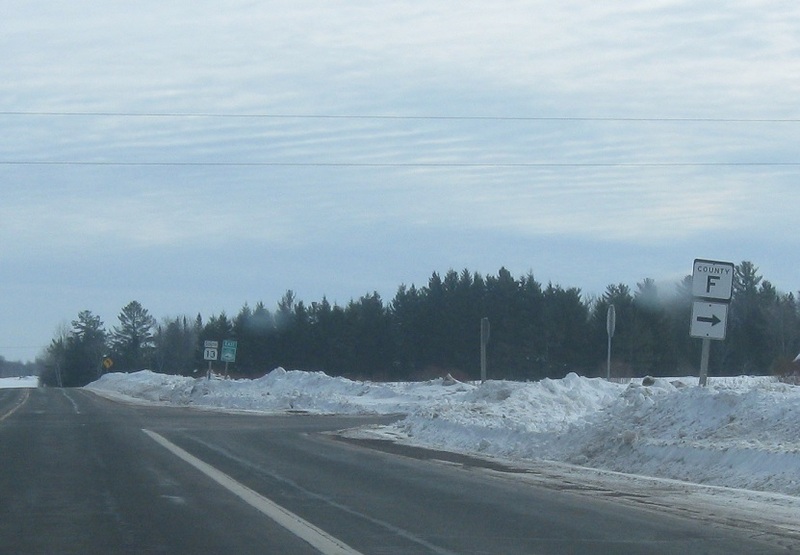 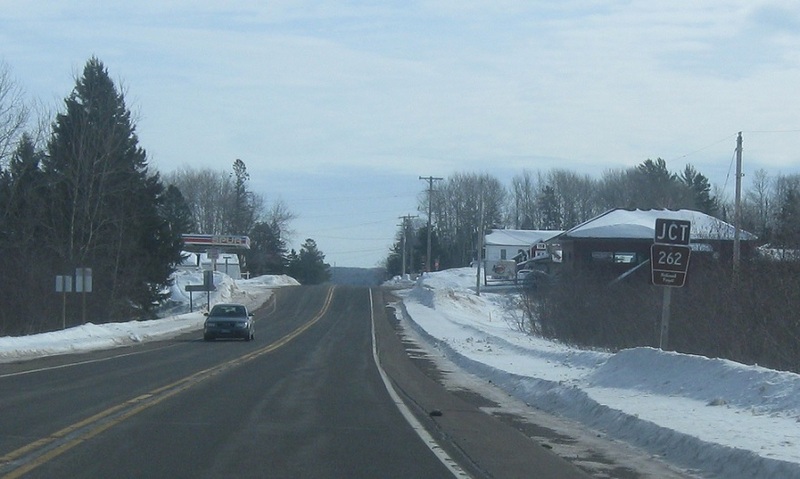 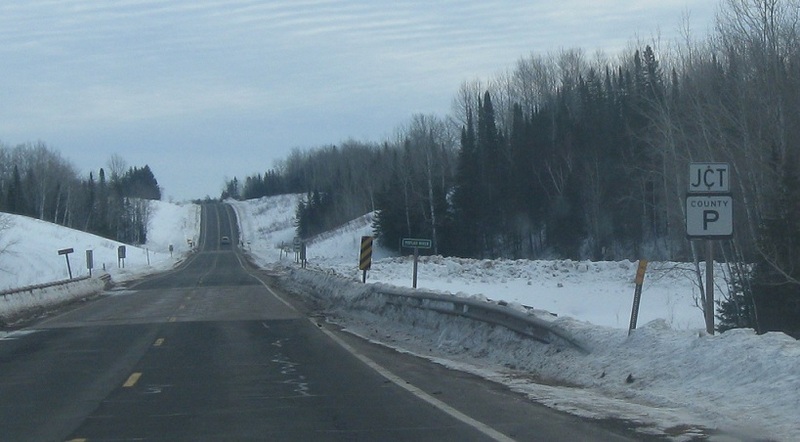 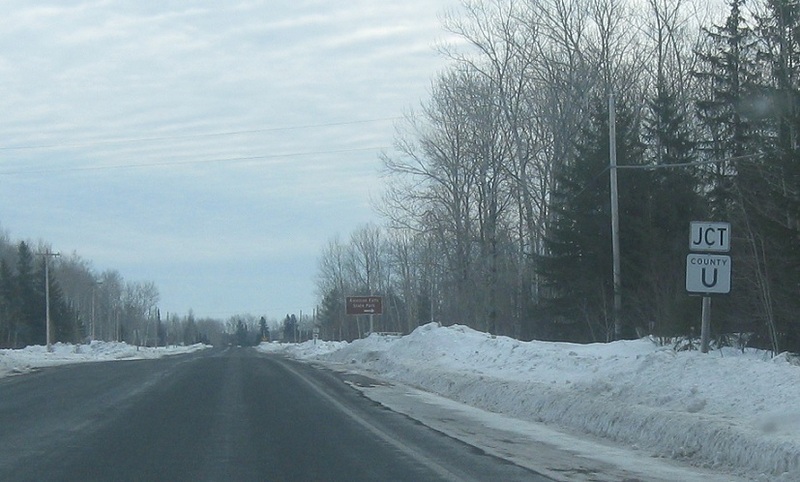 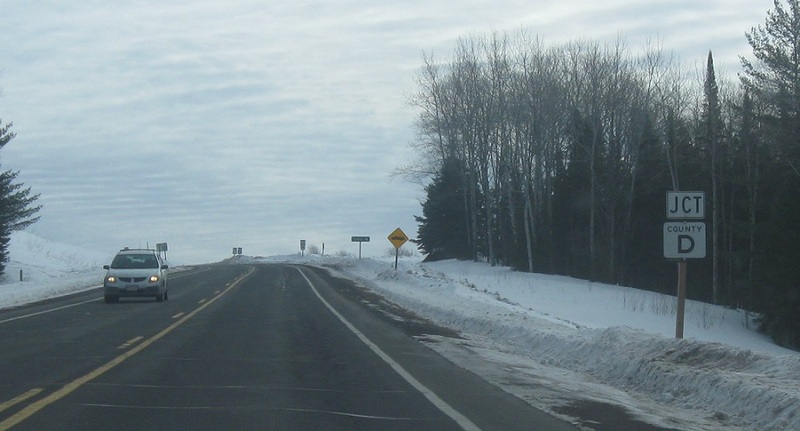 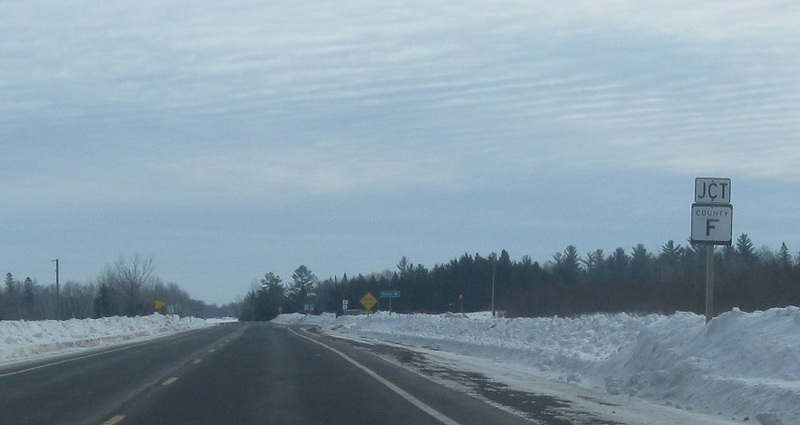 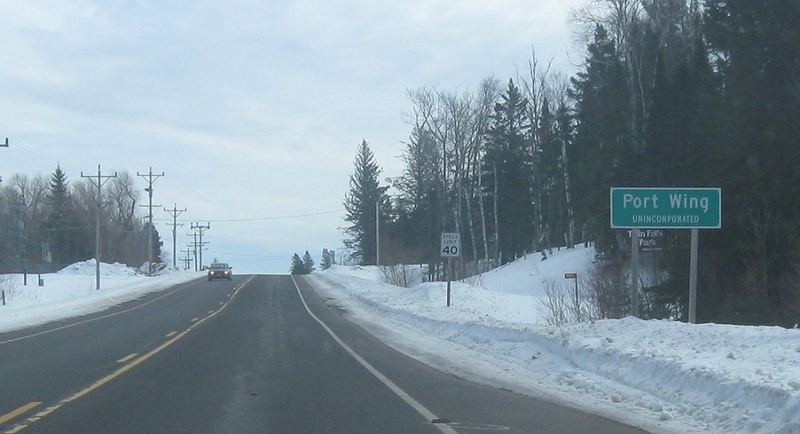 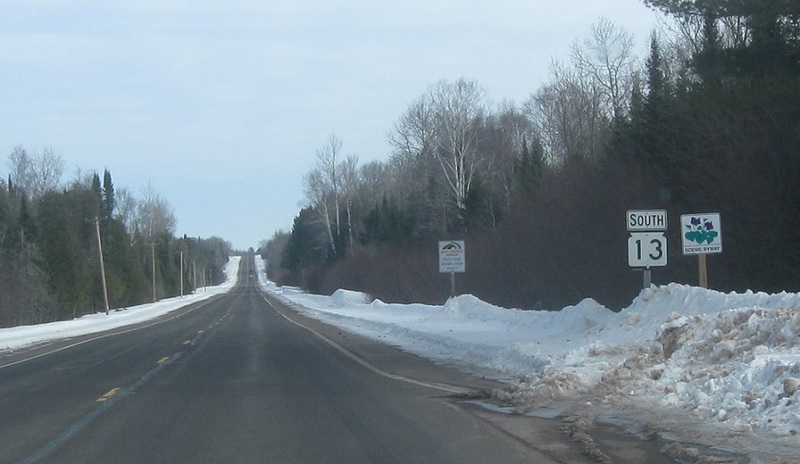 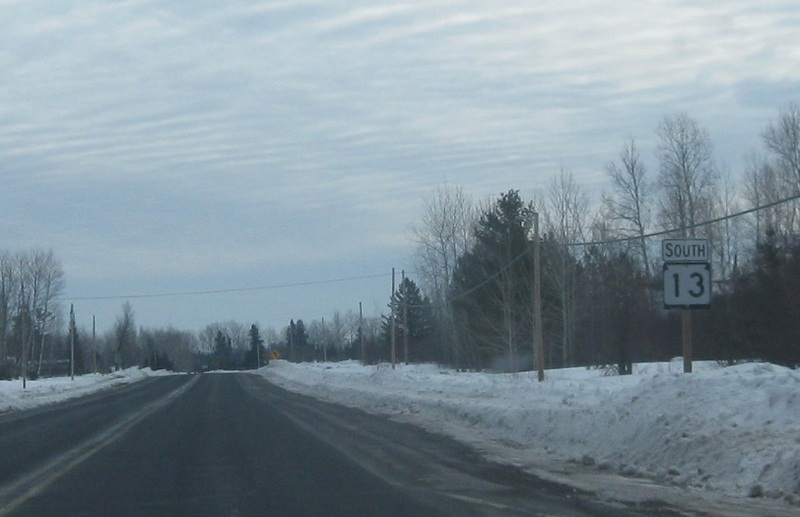 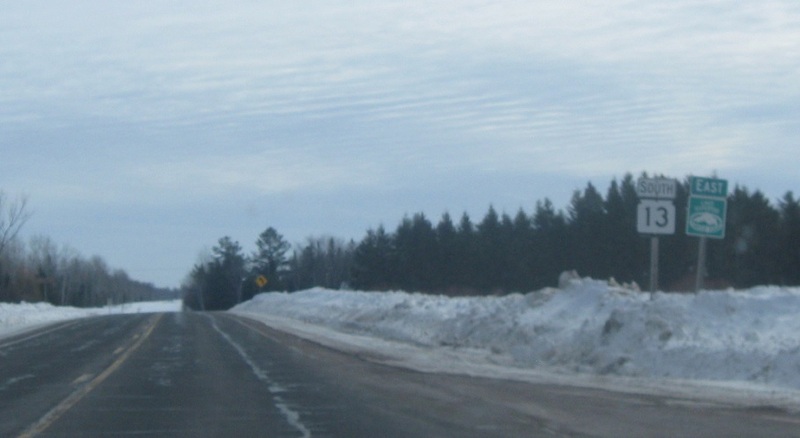 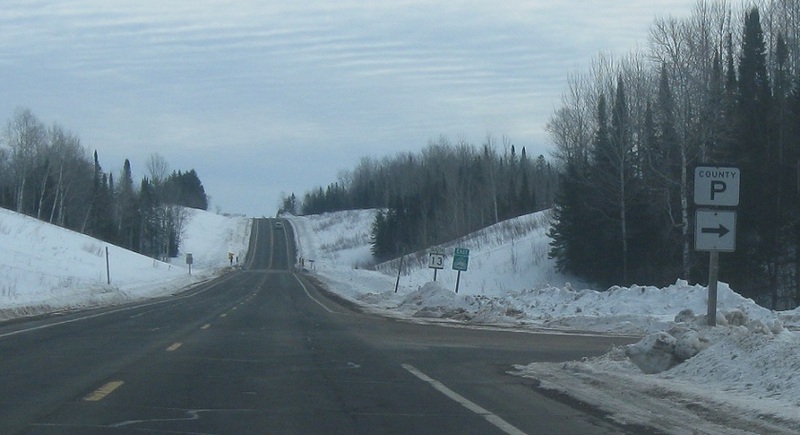 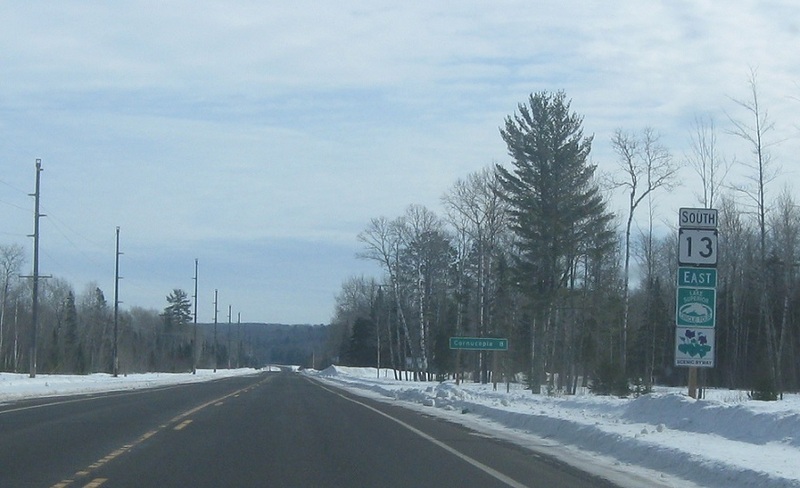 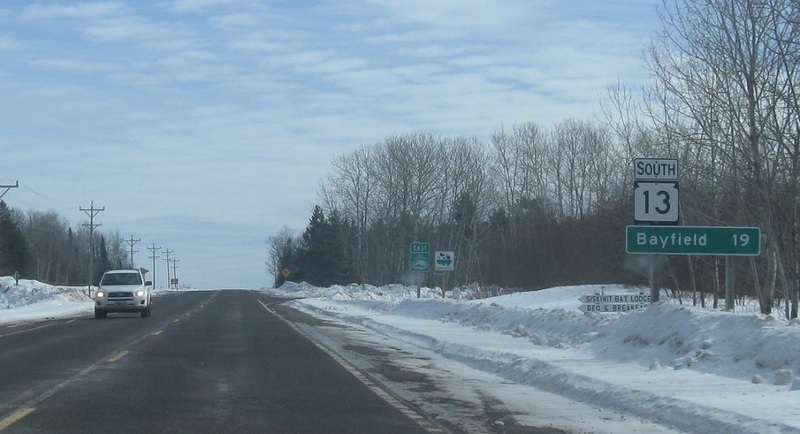 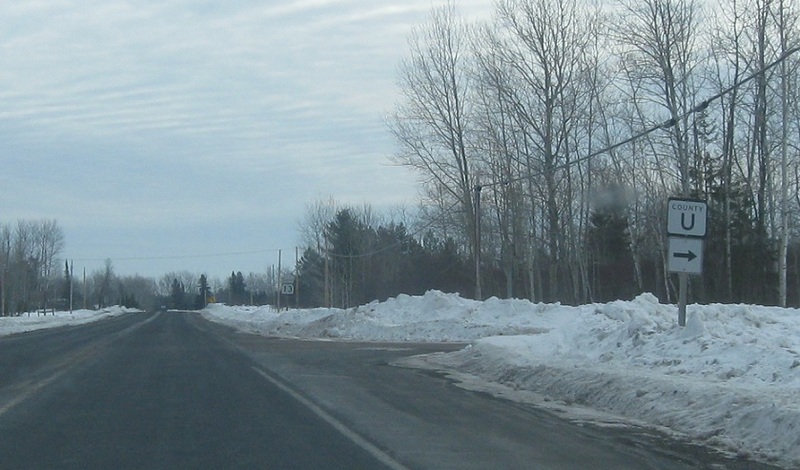 Stay straight or turn right for H.
Reassurance shield a couple miles later as we enter Bayfield County. 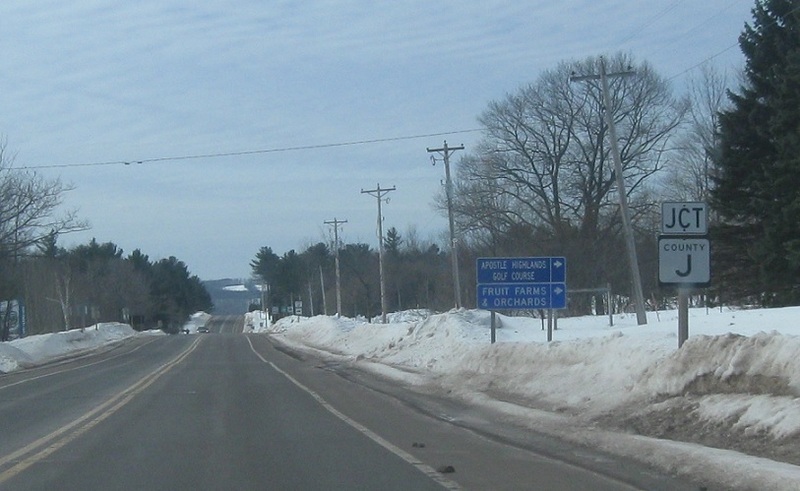 A couple miles later, we’ll enter Port Wing. 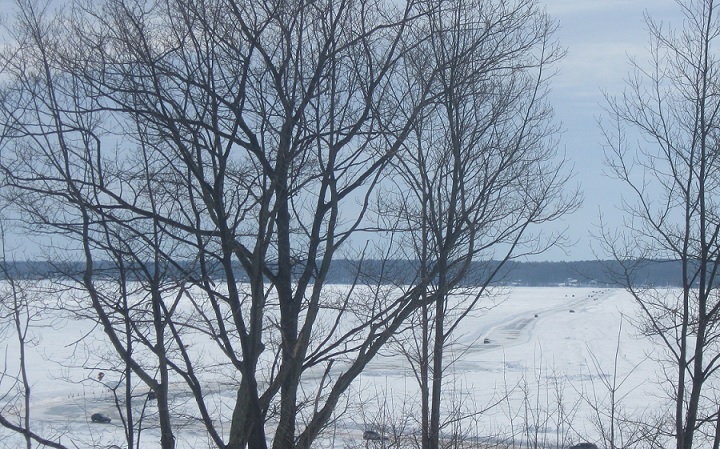 In Port Wing, we’ll approach CR A. 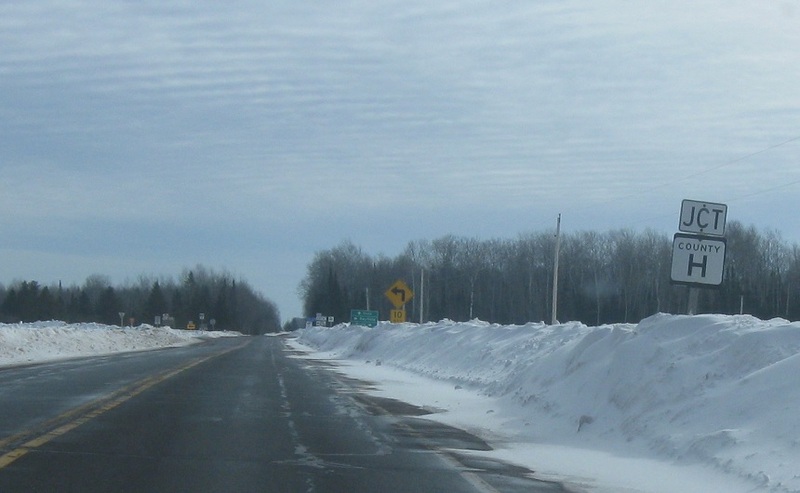 Turn right for CR A.
Reassurance shield as we head out of Port Wing. 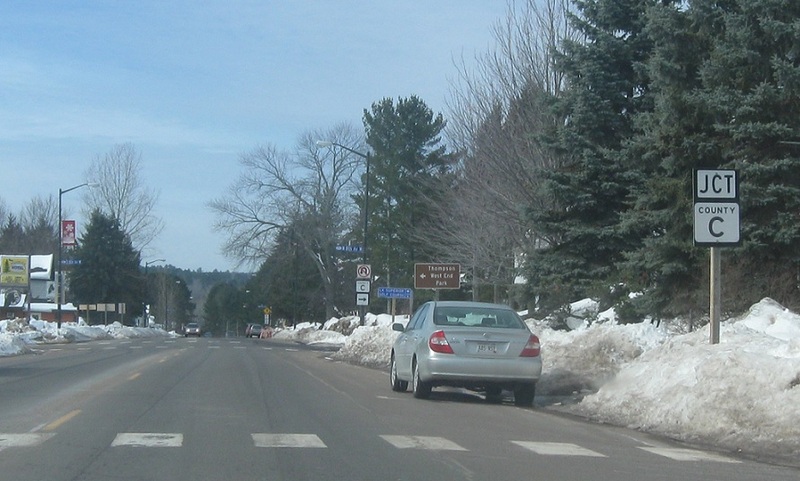 Reassurance shield about a half mile later. 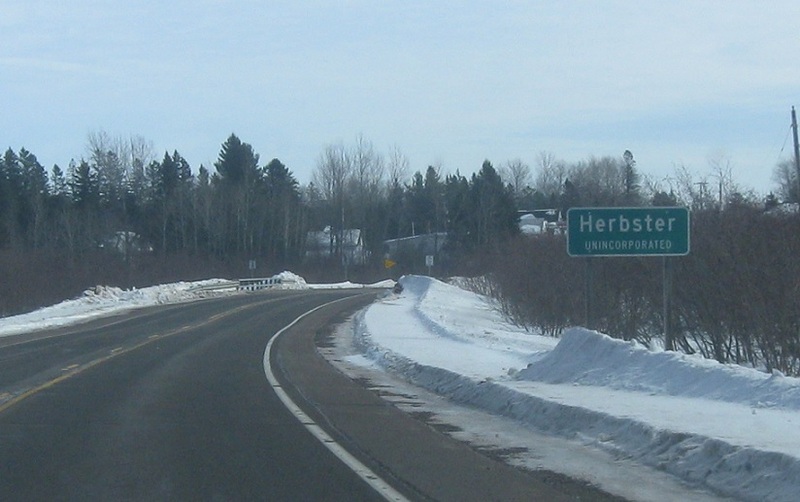 A few miles later, we’ll enter unincorporated Herbster. 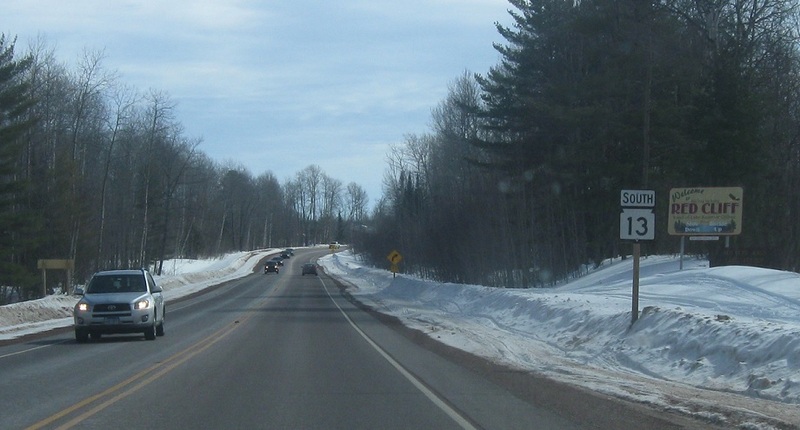 In Herbster, we’ll approach Forest Road 262. 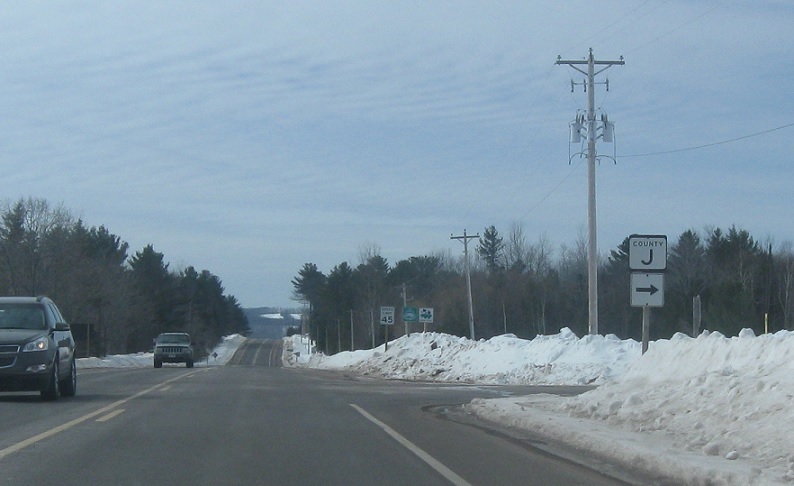 Turn right for Forest Rd 262. 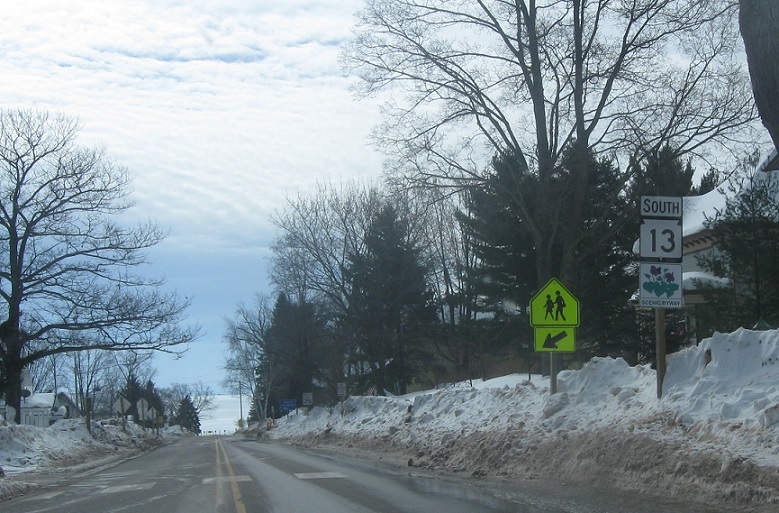 Reassurance shield as we head out of Herbster. 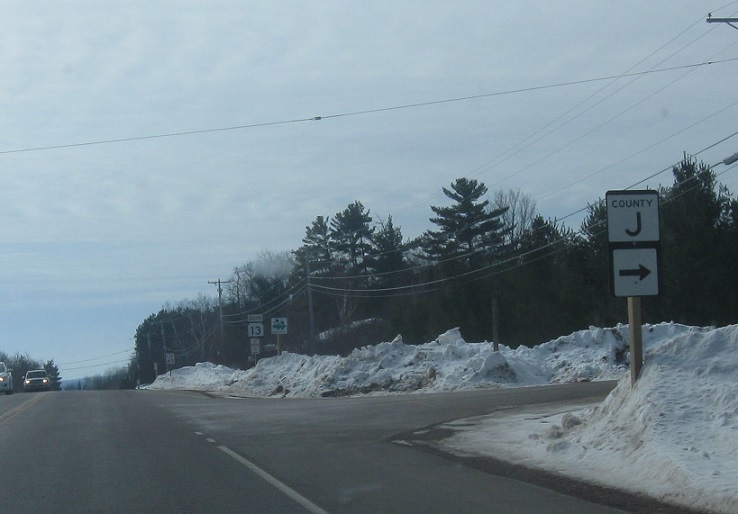 A couple miles later, we’ll enter Cornucopia. 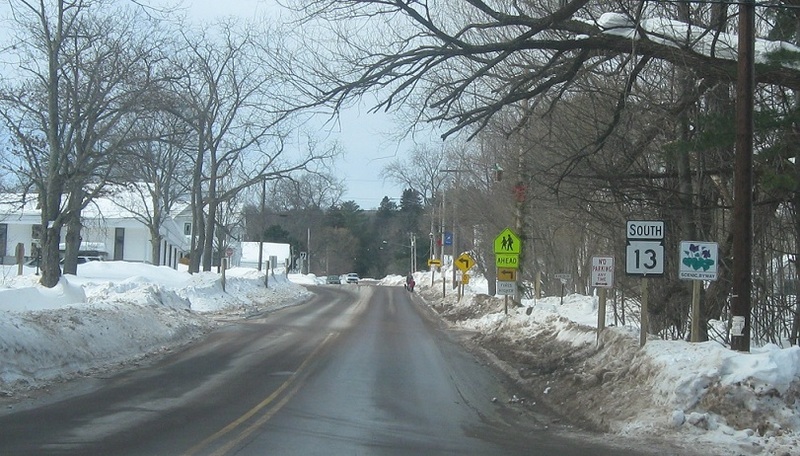 In Cornucopia, we’ll approach CR C.
Turn right for CR C.
Reassurance shield as we head out of Cornucopia. 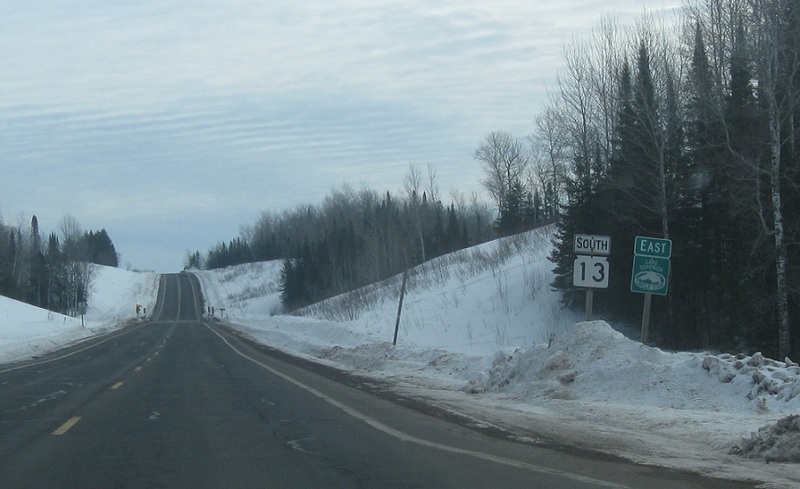 As we near Red Cliff, we’ll pass by another reassurance shield. 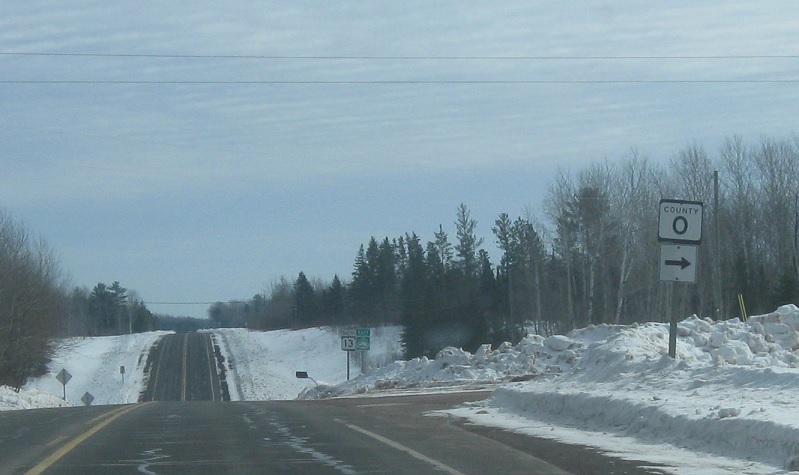 After we pass Red Cliff, we’ll approach CR J. 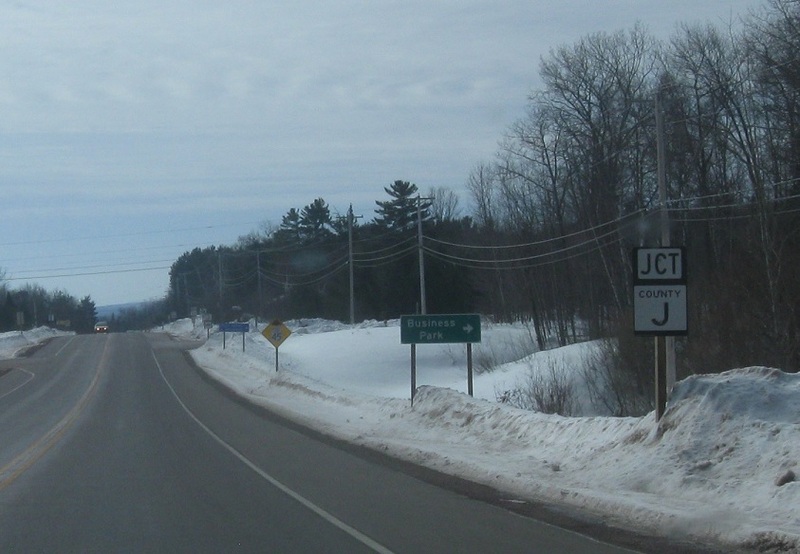 Turn right for CR J.
Reassurance shield after CR J. 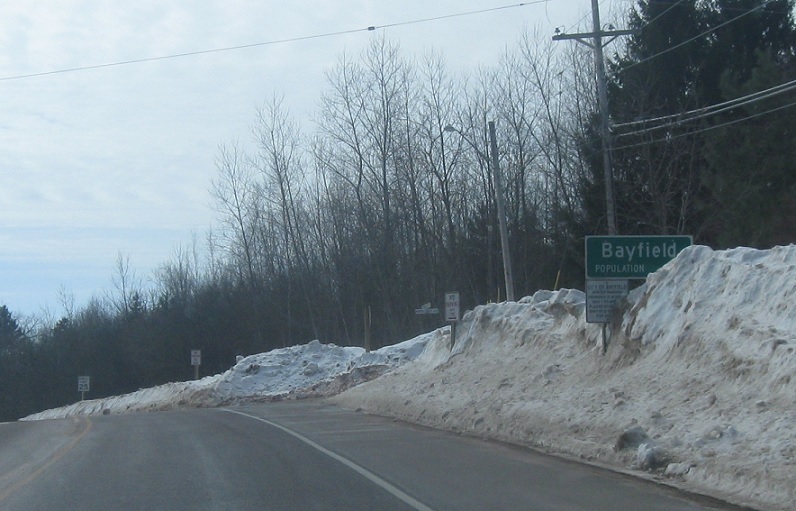 Just after that, we’ll enter Bayfield. 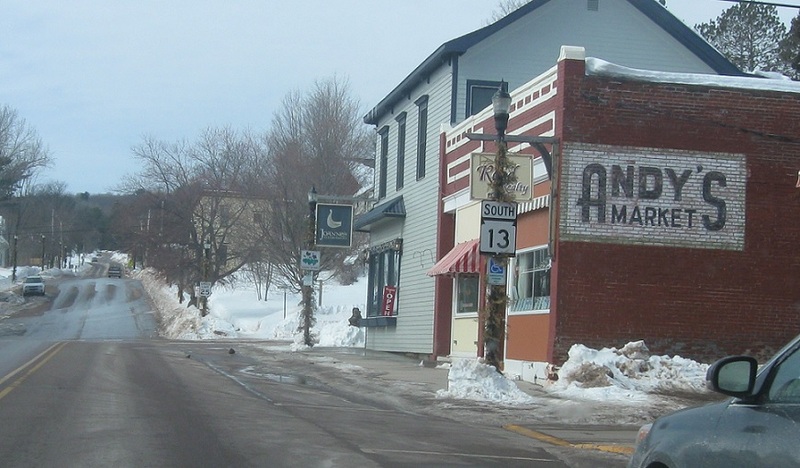 In historic Bayfield, we’ll pass by the parked ferries that head out to Madeline Island. 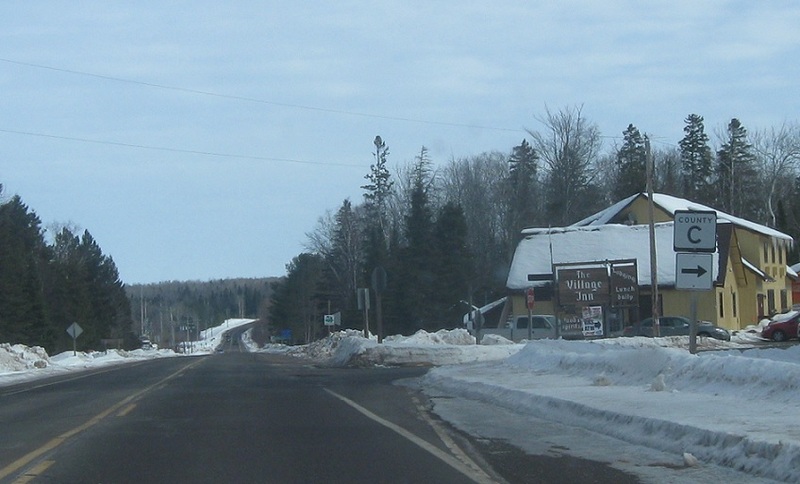 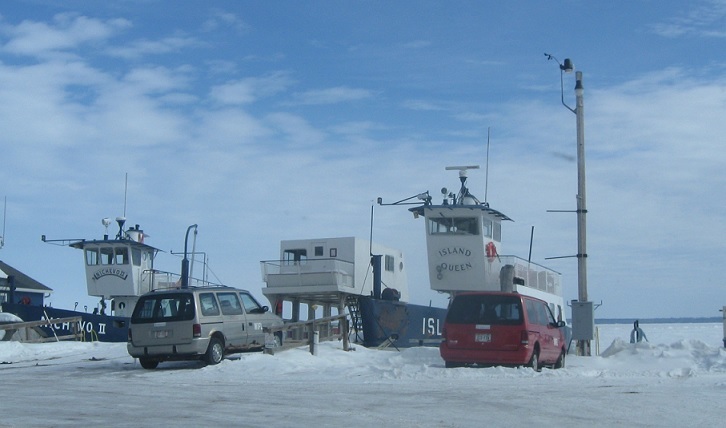 The ferries are out of service because in the winter the road to Madeline Island is an ice road! 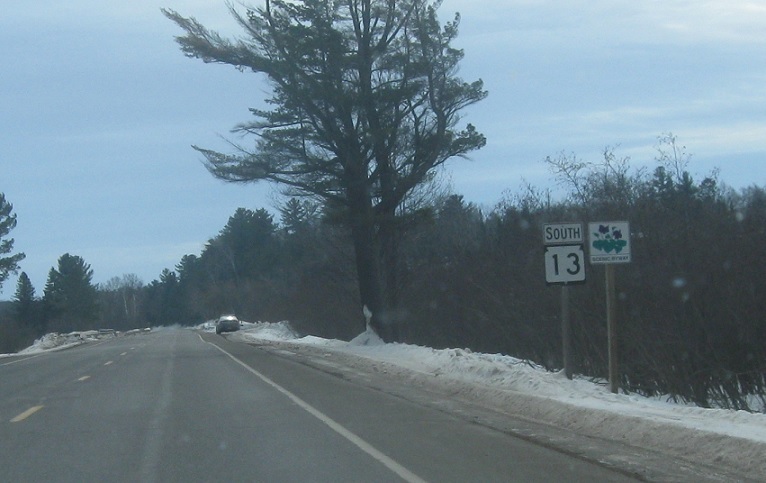 As we enter downtown, turn right to stay on 13. 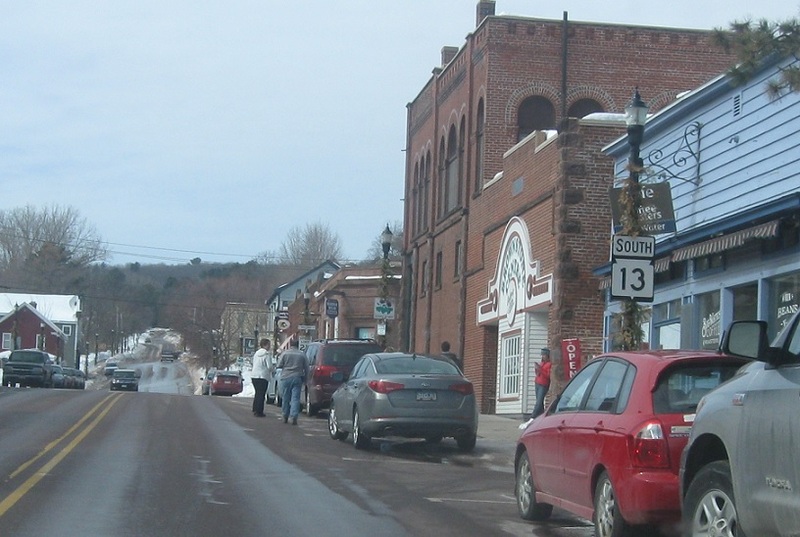 Reassurance shield in downtown Bayfield. 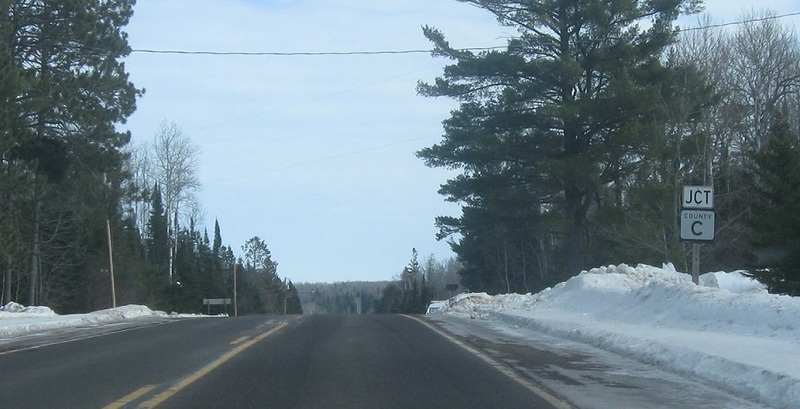 A couple blocks later, WIS 13 curves left to (finally!) 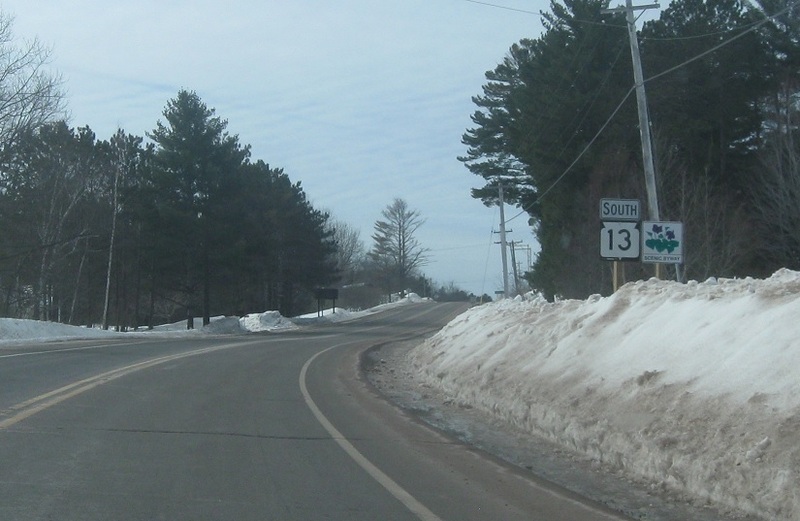 head south and we’re reassurance shielded after the turn. 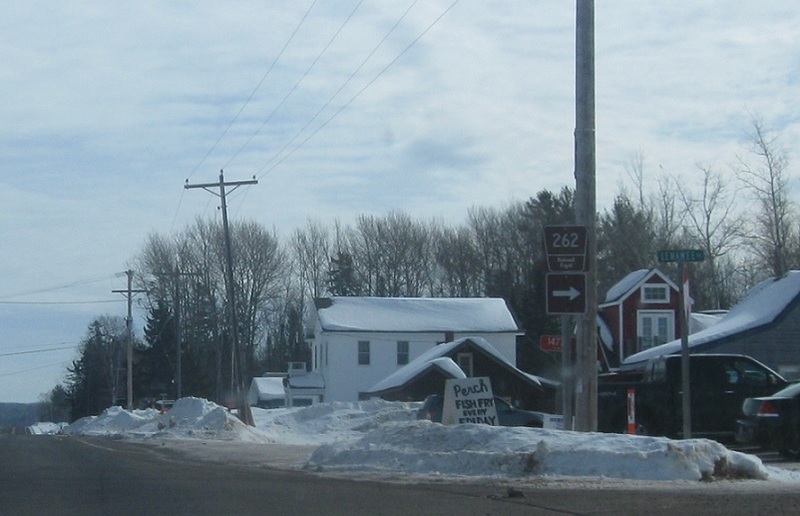 Reassurance shield as we head out of Bayfield. 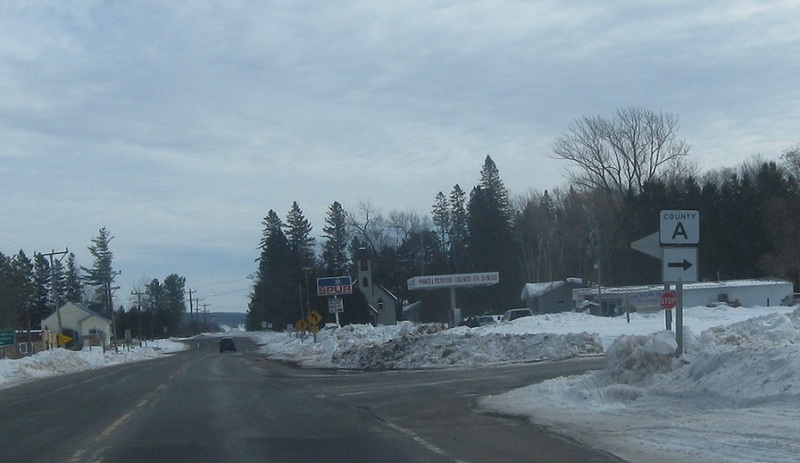 As we leave Bayfield, we’ll approach CR J again. 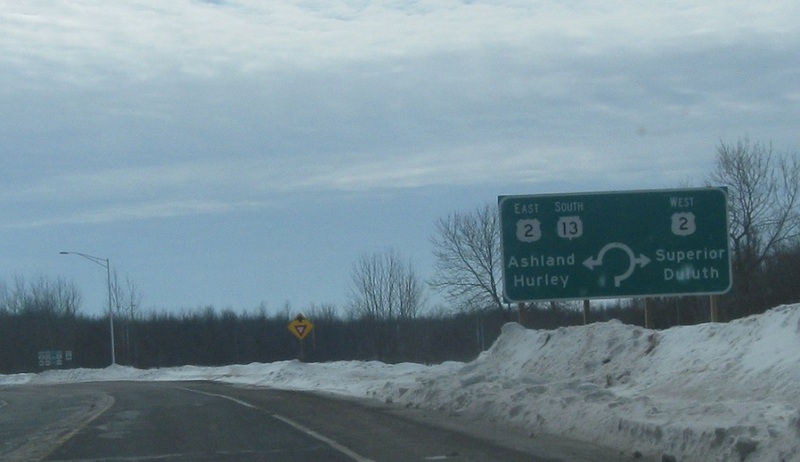 A couple miles later, we’ll enter Washburn. 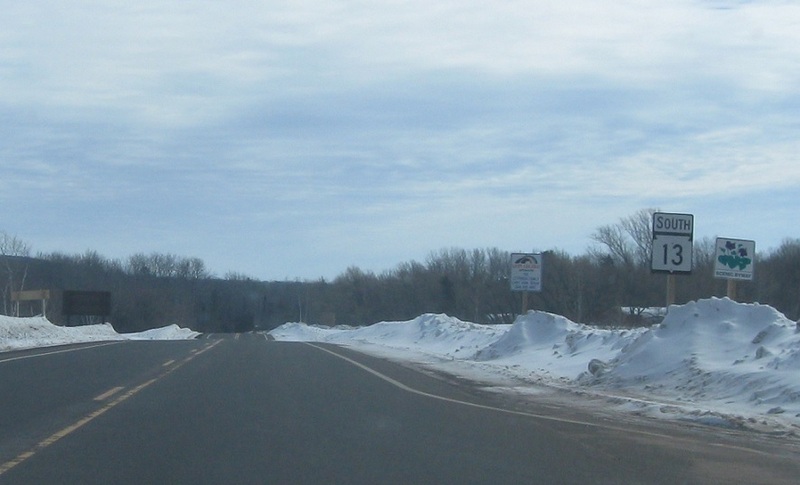 As we enter Washburn, we’re told to keep right. 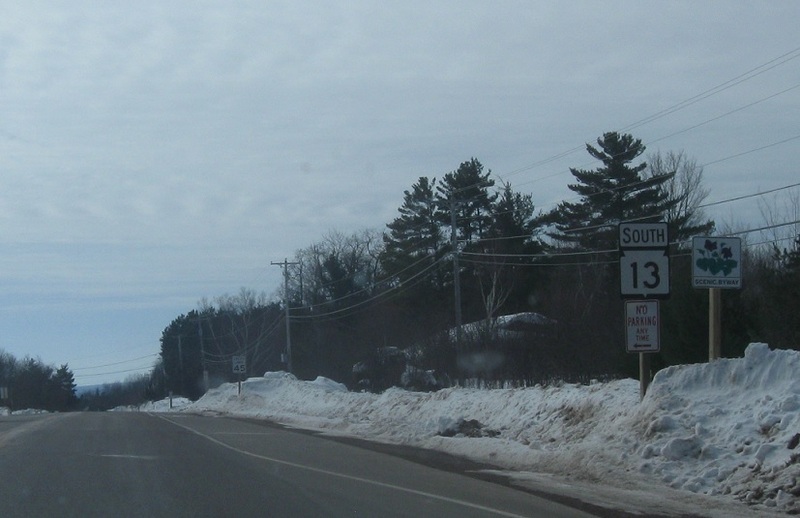 On the south side of downtown, keep right for WIS 13. 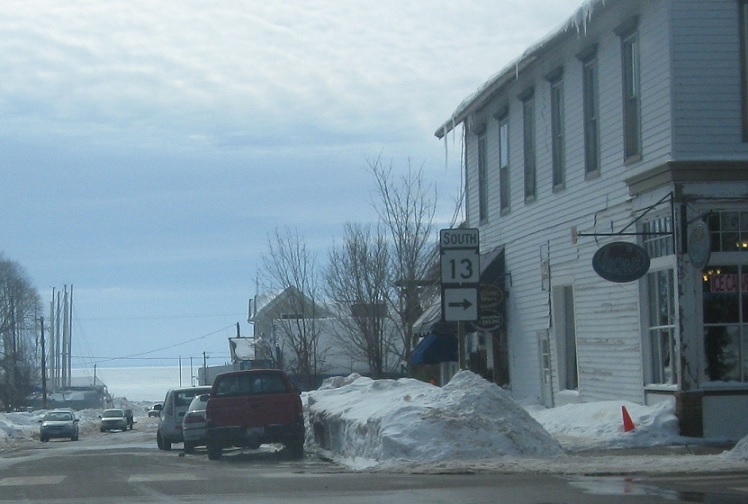 A few blocks later, we’ll approach CR C.
Reassurance shield as we head out of the populated part of Washburn. 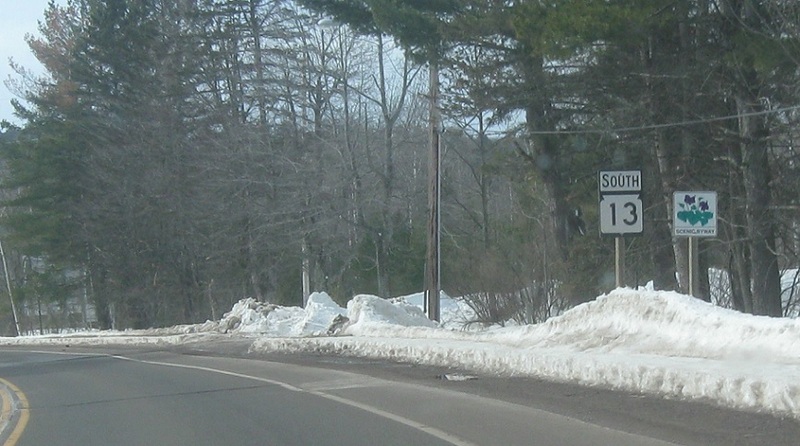 A couple miles later, we’ll approach US 2. 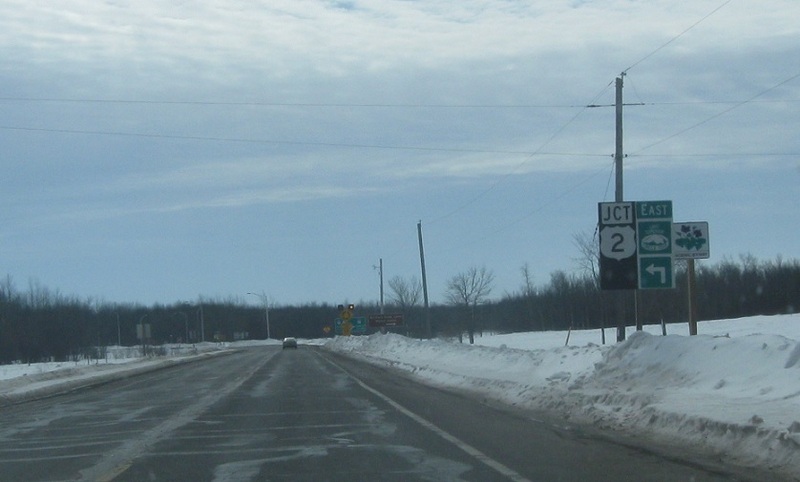 At US 2, keep right for 2 east towards Superior and Duluth, Minn. Keep left for 2 east/13 south to Ashland and Hurley. 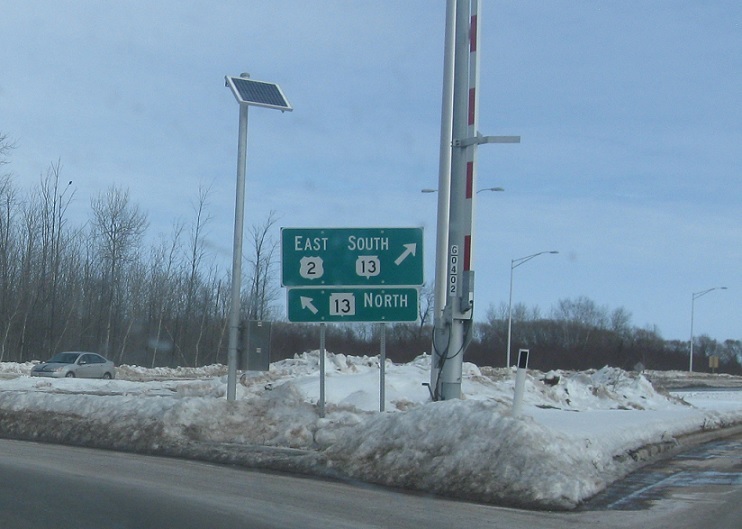 Turn right for 2 east and left for 2 west/13 south. 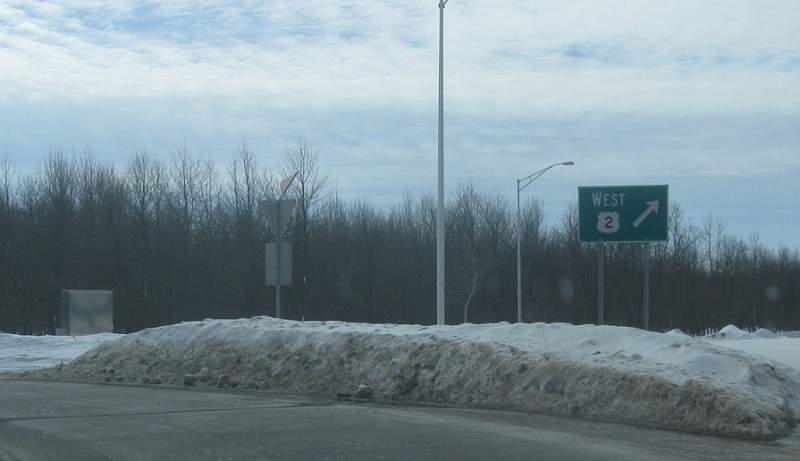 Keep right for 2 west. 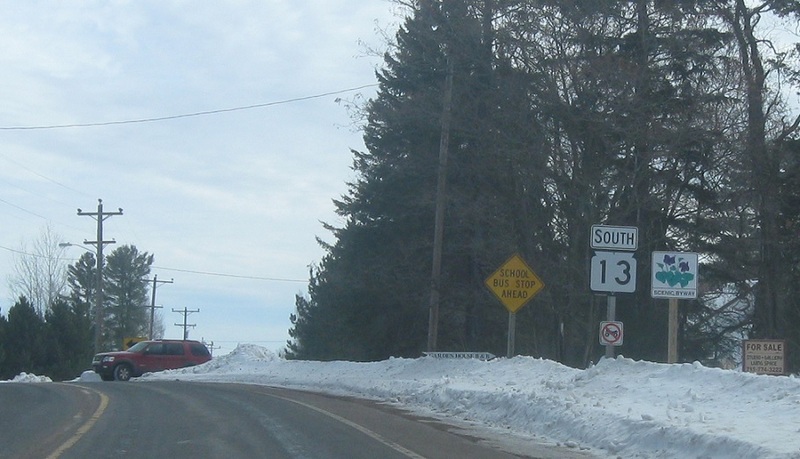 Keep right for 2 east and 13 south. 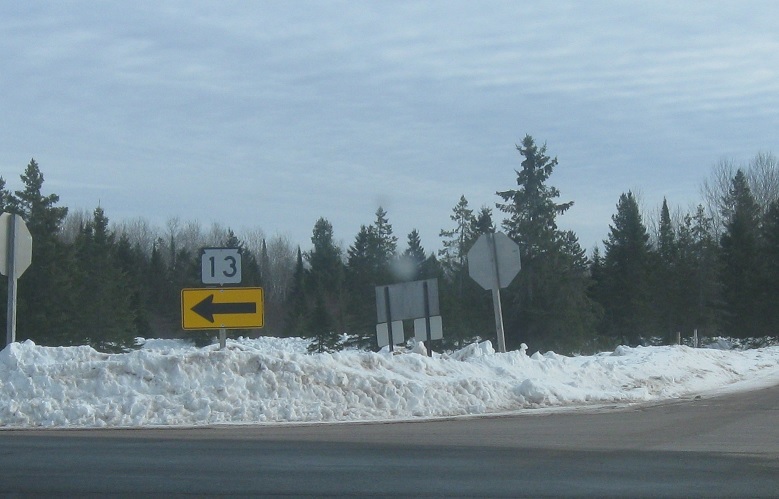 Keep left to follow the roundabout back to 13 north.